Personal Injury lawyer Colleen Russo has been representing injured clients in the Pinellas County area for over twenty-seven years. Her career as an attorney started as an lawyer defending large insurance companies. It is during this time that Colleen received valuable first-hand knowledge of the creative tactics and strategies used by insurance companies to avoid paying claims. Colleen grew disenchanted with the insurance industry. She found there was little satisfaction in helping these powerful insurance companies save money. She also recognized that injured people were at an enormous disadvantage when dealing with the complexities of insurance coverage. Armed with an advantageous insight from her inside position in the insurance industry, Colleen discontinued her work to begin representing clients who were injured. Since making her career change over two decades ago, Colleen has enjoyed a successful law practice helping injured clients secure the highest possible compensation for their injuries. At the Law Firm of Russo and Russo, P.A. your case will not be assigned to a staff attorney, as is the case in many larger law firms. Rather, your best interests will be served through the personal direct attention of Colleen herself. 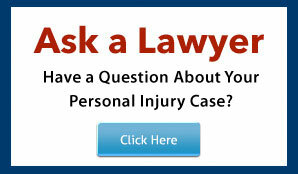 You are invited to review this website to learn more about the particular injury or accident you may have suffered. 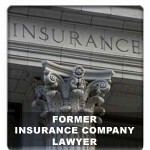 Here, you will find important information on such topics as preserving evidence in your case, how to properly deal with the insurance company and crucial steps for achieving the highest recovery. If you have been injured because of the reckless or negligent behavior of another person or corporate entity, you are entitled to both a fair and just recovery. We can help! Call our office to schedule a free immediate consultation.